Life brand Rastaclat is proud to unveil its latest line of RASTACLAT x NBALAB products in conjunction with the iconic National Basketball Association. This follows the global brands already acclaimed collaborations with the NCAA, Mountain Dew, and Bruce Lee. Banding together one wrist at a time, the #NBAVIBES crusade symbolizes a lifetime badge of honor for the basketball community and the long-lasting camaraderie and devotion of fans worldwide. Continuing Rastaclat’s company mission of Spreading Positive Vibrations®, this new collection celebrates the virtues of Pride, Righteousness, Integrity, Determination, and Excellence, providing fans an opportunity to show their PRIDE for some of the NBA’s most coveted teams. 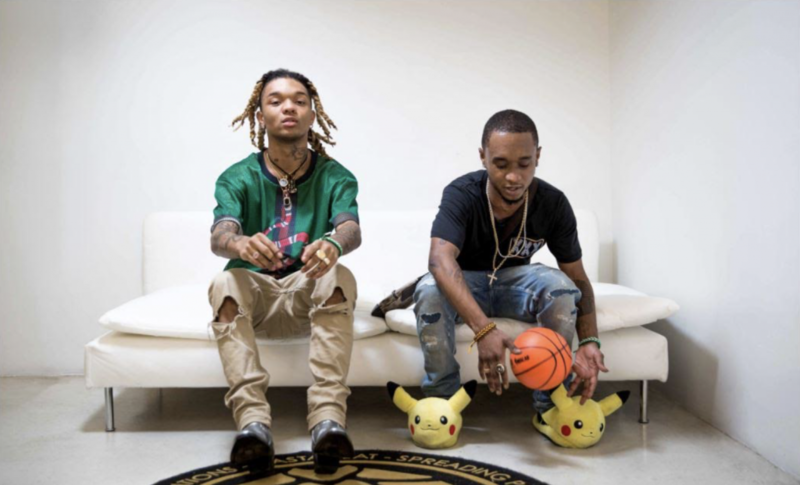 Helping to showcase the new collaborative designs is hit music duo ‪Rae Sremmurd, who recently found critical acclaim with their #1 Billboard Hot 100 infectious single “Black Beatles,” and shot a #NBAVIBES video detailing their support of the new collaboration. Also part of the campaign is ‪DJ Envy and Angela Yee, hosts of iHeart radio’s #1 morning show, The Breakfast Club. Each brand ambassador will release a ‘Day in the Life’ #NBAVIBES video where fans can catch glimpse of how they Spread Positive Vibes throughout their hectic days. Available ‪February 1, 2017, on Rastaclat.com and at select retailers, the RASTACLAT x NBALAB Collection features 11 new Classic Bracelet styles featuring each team’s signature colors and insignia. The first wave of teams includes nationwide favorites such as the Los Angeles Lakers, Chicago Bulls, New York Knicks, Golden State Warriors and current NBA champions the Cleveland Cavaliers.